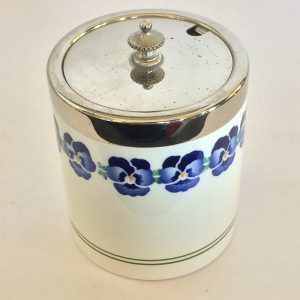 Art Deco German Sugar or Jam / Conserve Pot with Chrome rim to top edge of the porcelain and a chrome lid with recess for a spoon, and a finial at centre, that all neatly sits within the lower chrome surround; the WMF Pansy Pattern is on the perimeter of the Porcelain with the Hive mark and “WMF” within, impressed to the chrome edge. 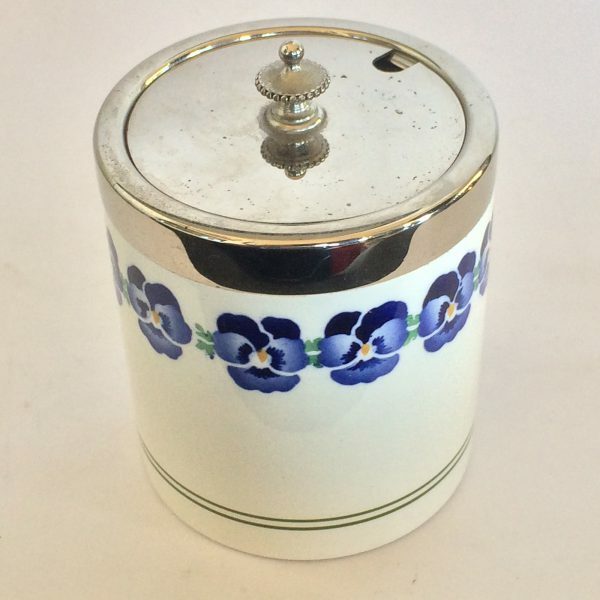 WMF Group (formerly known as “Württembergische Metallwaren Fabrik”) is a German tableware manufacturer, founded in 1853. 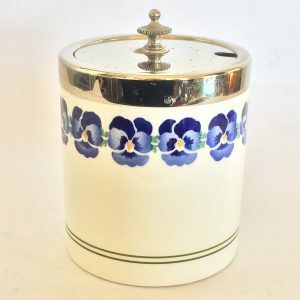 The pansy pattern is simple but intensely eye-catching, and possibly one of the best and most beautiful of all the WMF porcelain flower designs. 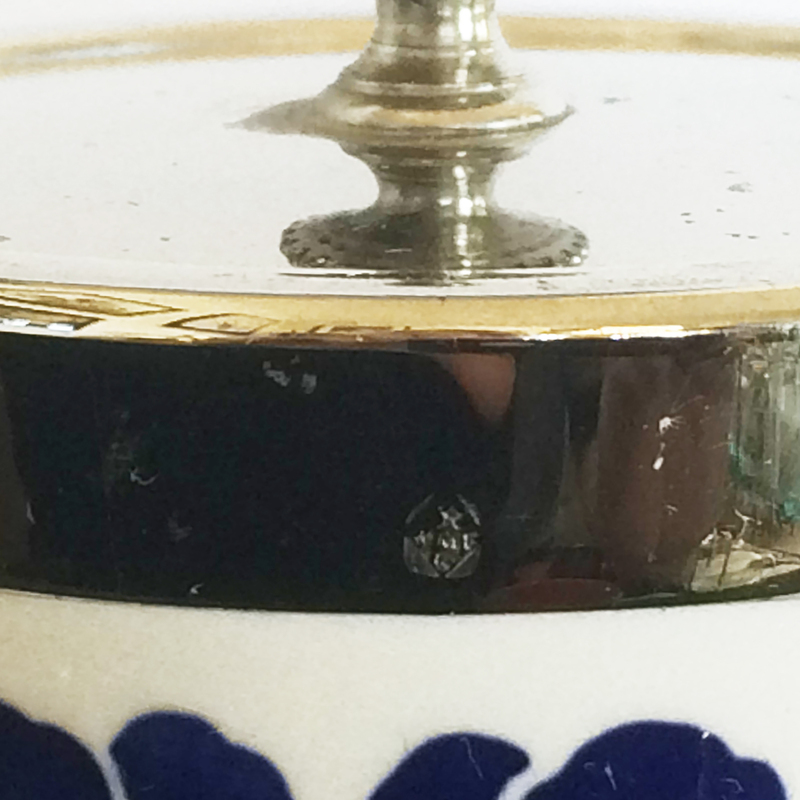 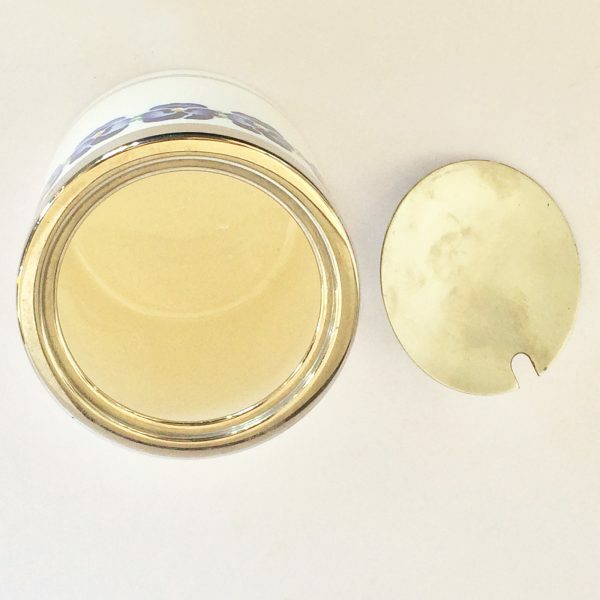 This piece is in excellent condition for the porcelain and the chrome, which both are near perfect except only for a slight age patina to the chrome edge The small WMF Beehive Mark, is on the side of the recessed chrome pot surround. 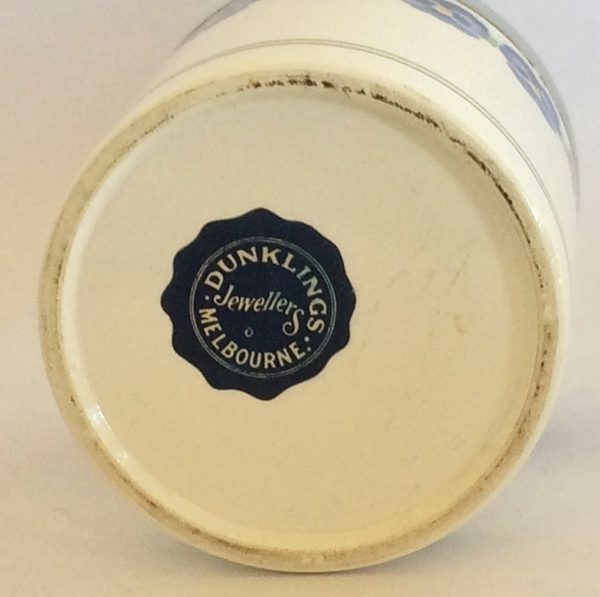 On the base is the original local Distributor paper sticker, of “DUNKLINGS JEWELLERS MELBOURNE” Capital of Victoria, Australia; it is possible that the WMF mark “Dec. 2194”, the design number, is beneath the label, matching the other pieces of this design, in other stock we have, Teapot and separate Coaster if not already sold). All the porcelain is immaculate, with no chips, no cracks or restoration. 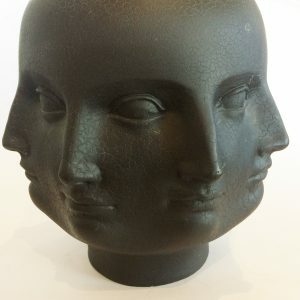 Dimensions are approx.. : 11cm high to top of finial; 9cm high for pot x 7.5cm dia.. Germany. Circa 1930’s.